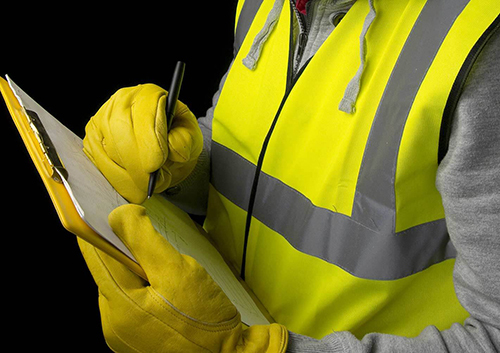 At Ryemead we regard Health and Safety procedures and compliance with the highest importance. As an outside cleaning contractor, we hold a position of trust with all of our valued clients. We are extremely proud of our unblemished safety record to date. We ensure the highest standards of health and safety in our industry – protecting our staff, our clients/clients employees and the general public at all times. Being SAFE Contractor approved and ISO 9001:2015 certified gives clients the reassurance that we are a company that has been recognised for its high standards in Health & Safety and procedures. The Disclosure and Barring Service (DBS) is a non-departmental public body of the Home Office of the United Kingdom. The DBS enables organisations in the public, private and voluntary sectors to make safer recruitment decisions by identifying candidates who may be unsuitable for certain work, especially that involving children or vulnerable adults, and provides wider access to criminal record information through its disclosure service for England and Wales. At Ryemead, all members of staff are full disclosure DBS checked before we employ them, to ensure they are suitable for your site. 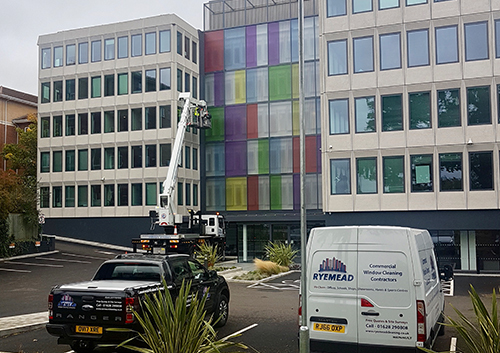 There are most definitely risks associated with window cleaning and we recognise at Ryemead that it is our responsibility to ensure our window cleaners are fully compliant with Health and Safety legislation, along with the added risks associated with working at height. Choosing the appropriate cleaning methods and recognising the need to work safely and in compliance with legislation ensures our clients receive an efficient, safe service. All staff are fully trained in the use of our cleaning equipment, our cleaning techniques and our safety apparel/equipment. 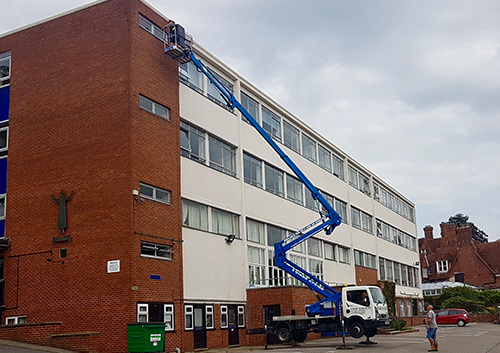 We also liaise closely with our clients to ensure you are aware of any risk factors involved as we conduct our agreed duties on your premises. We will provide you with a Health and Safety Policy and guarantee that all procedures are fully implemented and adhered to. All staff are supervised and supported to ensure work is carried out safely and in the interest of everyone’s welfare: your staff; your visitors; your customers; our staff. 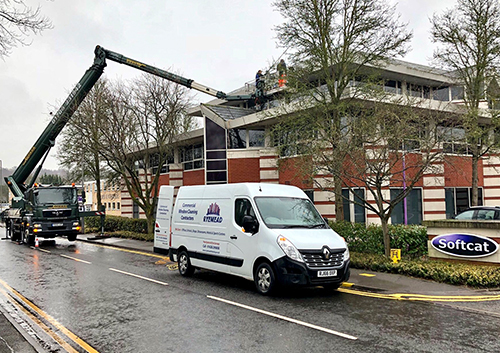 Using state of the art equipment to complete each job, our managed teams of fully-trained operatives always adhere to Health and Safety legislation standards. We promote safe working practices and all of our operatives are trained by the industry’s governing bodies, ensuring all work is carried out safely. We will carry out a full site survey where a risk assessment is completed and a ‘Method Statement’ produced. All operatives are fully DBS checked, as company policy.